Have the Jews kicked Martin Zaidenstadt to the curb? I have been searching my fingers to the bone, but I cannot find any recent news on the Internet about Martin Zaidenstadt, the Jew who pan-handled at the Dachau Memorial Site for many years. 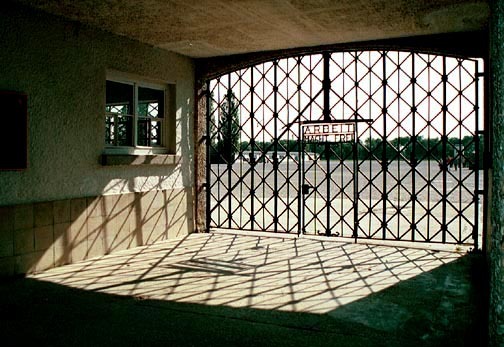 Zaidenstadt claimed that he had been a prisoner at Dachau for three years; he told the tourists all about the Dachau gas chamber, which he had somehow escaped during his three years of confinement. I recall that, for many years, there were numerous photos of Zaidenstadt on the Internet; these photos have now disappeared. 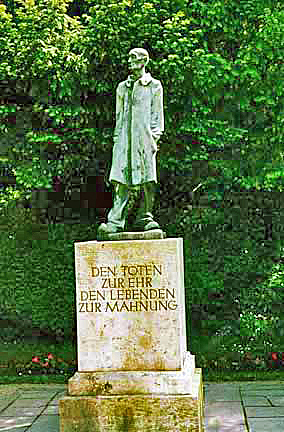 His favorite place to pose was at the statue of the unknown prisoner; Zaidenstadt claimed that he had posed for this statue. If Zaidenstadt is still alive, he is now 103 years old, but I have been unable to find anything on the Internet about his death. 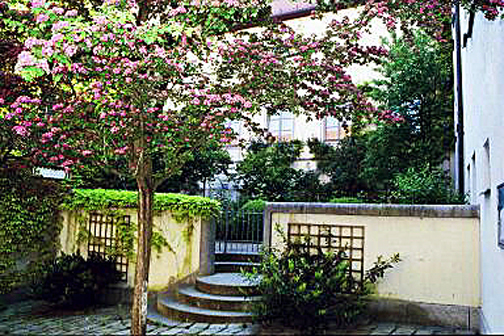 When I visited the town of Dachau, several years ago, I was told by a Dachau resident, that the house in the photo below was where Martin Zaidenstadt lived in luxury when he was not out pan-handling at the Dachau Memorial Site. 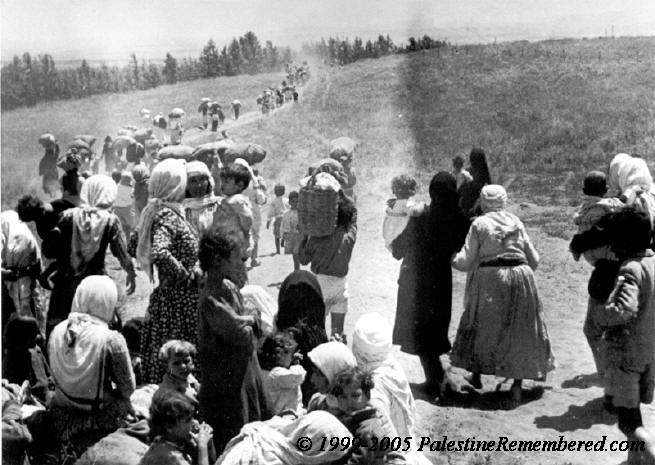 I am writing about this today because I did not know, before today, that there are laws in Israel against mentioning the suffering of the Palestinians, who were forced to leave when Israel became a country. Until today, I have deliberately avoided reading anything about the atrocities committed by the Israelis because I consider this subject to be a “hot potato,” or something too controversial to be studied. 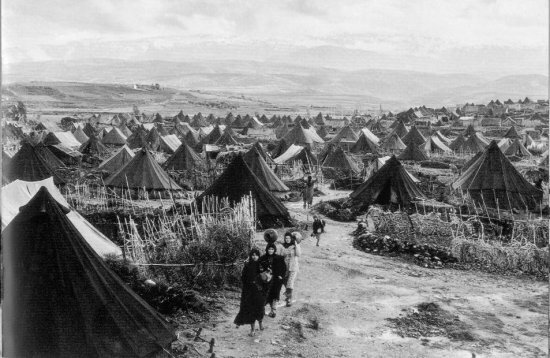 The Nakba is the Arab term symbolizing the Israeli defeat of the Palestinians and the occupation of Palestine’s land during the 1948 war. I believe that the above statement is correct. Holocaust denial is against the law in around 19 countries now because the Holocaust is the reason that the Jews need to have their own country to protect them from enduring another Holocaust. I learned about how Hitler helped the Jews to get to Palestine when I visited the Museum at the house in Wannsee where the Nazis planned “The Final solution.” The British were only allowing a few 15 year old Jewish boys and girls, who had manual labor skills, into Palestine. Hitler set up schools and farms where the Jewish boys and girls could learn skills that would qualify them for entry into Palestine. There were photos in the Wannsee museum showing these Jewish children in the schools that had been set up by Hitler. So you can blame it all on Hitler. If not for Hitler and the Holocaust, there would be no Israel today. 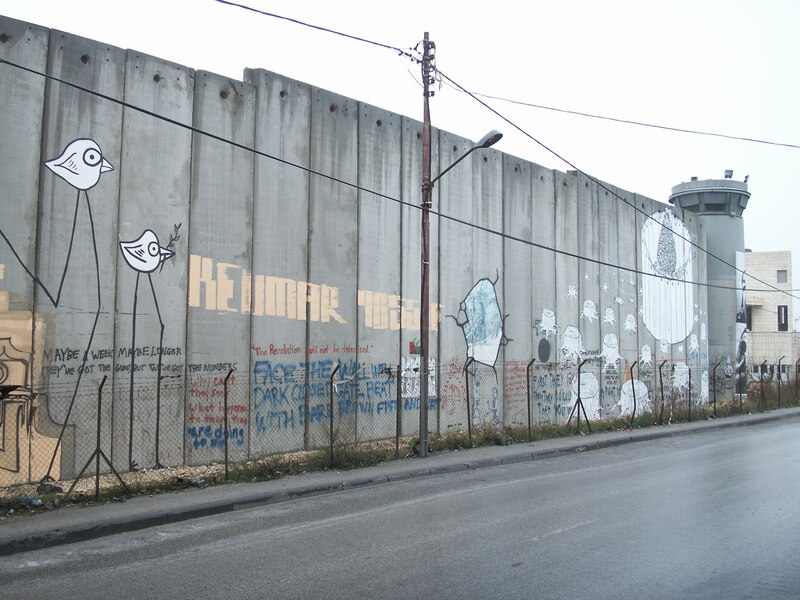 The Palestinians would still have their country and there would have been no Nakba. How long will this problem continue? It will still be going on, long after I am dead. 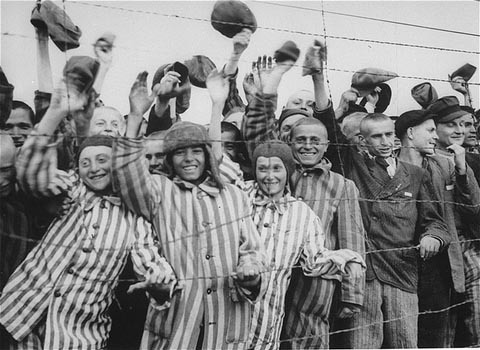 Today is the anniversary of the liberation of the Dachau concentration camp by American soldiers on April 29, 1945. Many of these soldiers are still alive and will be attending memorial services around the USA, telling their stories about the emaciated inmates, who barely survived their ordeal in the Dachau horror camp. 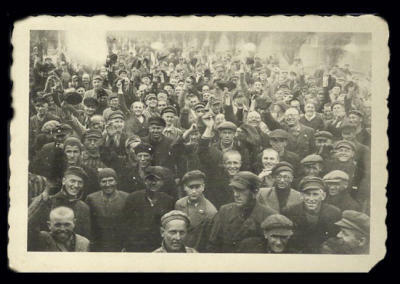 I am putting up some photos of the Dachau survivors, taken after the liberation of the camp. 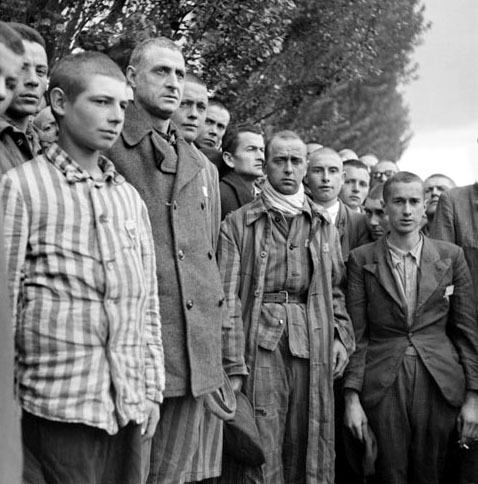 Most of the Dachau survivors were emaciated and weighed barely 70 pounds. Many of them had to crawl up to the barbed wire fence to greet the American liberators — NOT! The photo below shows young survivors posing inside one of the Dachau barracks. 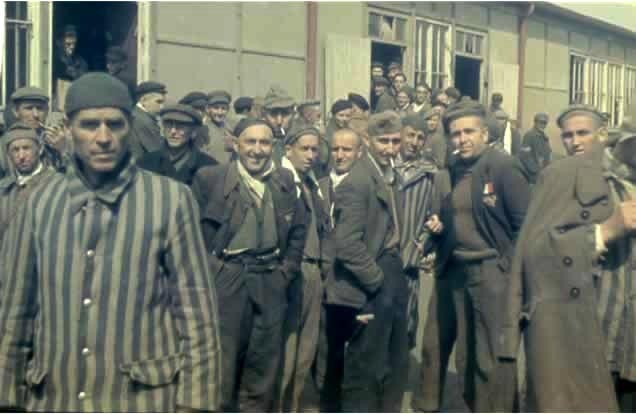 The photo below shows some of the political prisoners at Dachau, including SOE agents. Where were all the sick prisoners at Dachau when the camp was liberated. They were in the infirmary barracks. Just before the Americans arrived, there were 400 prisoners per day dying of typhus. 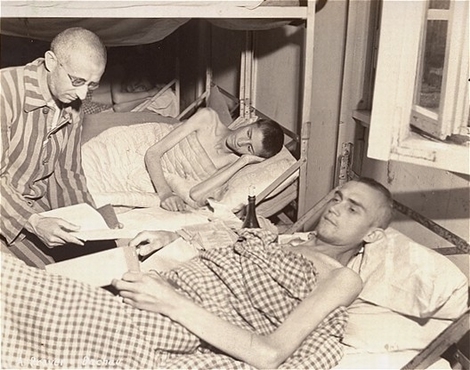 The photo below shows two sick prisoners in the infirmary barracks. 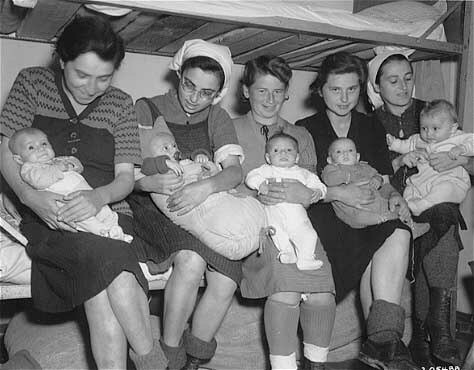 There were a few babies at Dachau when the camp was liberated. They had been brought, from one of the sub-camps, to the Dachau main camp, to be turned over to the Americans. All of the babies survived and lived to the age of 65, at least. Harold Campbell’s U.S. Army unit was on its way to battle Nazi soldiers in Munich, Germany, when it came face to face with horror. Survivors found: But the 42nd Infantry Rainbow Division “got rid of them” and found 32,000 camp prisoners who were still alive, Campbell said. Campbell said he and his fellow soldiers remained at the Dachau Concentration Camp for a day to keep the rescued people safe until U.S. Army officials and additional units arrived to further help them. As [the American soldiers] approached the camp, the 42nd took heavy small-arms fire. Whoever was guarding the camp didn’t want the Americans coming anywhere near it. 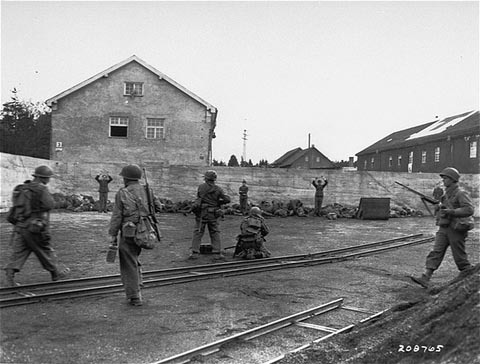 The troops guarding the camp, members of the SS, defended the camp with their lives. At least most of them did. 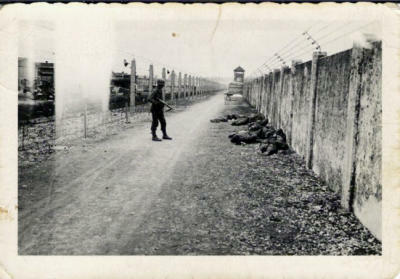 As the Americans approached, the fence around the camp was lined with dead German guards [shown in the photo above]. The photo below shows a “German SS trooper” fighting to the end, as he surrenders the camp to American soldiers of the 42nd Division, accompanied by a Red Cross representative who is holding a white flag. 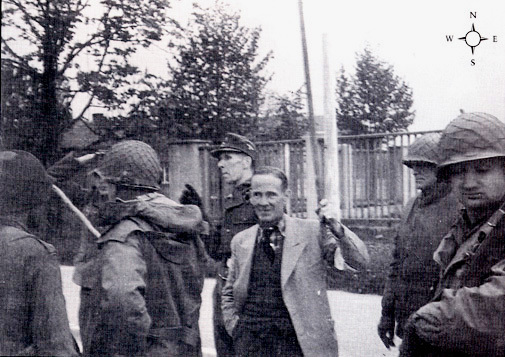 After he surrendered the Dachau camp to the Americans, Lt. Wicker disappeared. It is believed that he was killed by the American liberators. 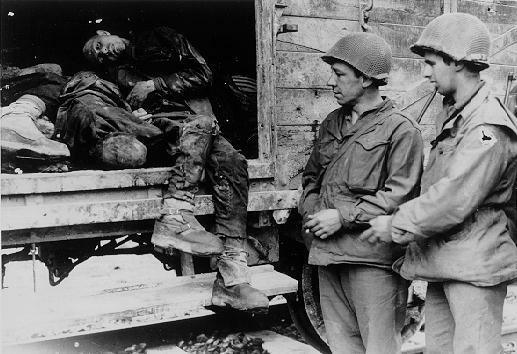 Some of the bodies of the SS troopers were mutilated by the American liberators after they were killed, as shown in the photo below. Campbell recorded what he saw. 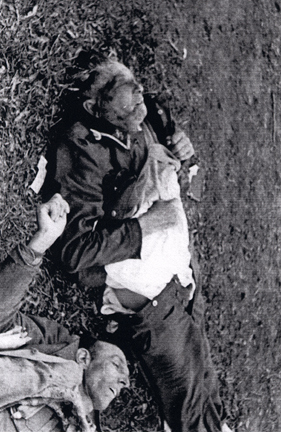 He took a Leca (sic) camera off of the body of a dead German officer. It had a full roll of film, eight shots. He took the photos and saved them to show others what he had seen. 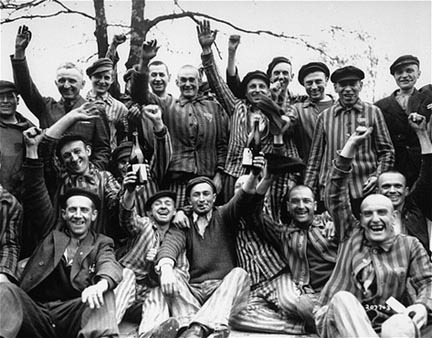 Tomorrow will be the anniversary of the liberation of Dachau on April 29, 1945, and there will be many news stories about the American soldiers who liberated the camp. I have just learned that there is a book, entitled Unforgotten – A Memoir of Dachau, which was written by Franz Thaler, a former non-Jewish inmate of Dachau. The book was originally published in 1988; a new edition was published in 2011 by Kiener Press. Thaler’s book is for sale at the Dachau Memorial Site, and on the Amazon website in the UK. By September 1943 and after the Italian capitulation, the German Army ends up occupying Italy, as well as the Tyrol. The 19 year old Franz refuses to serve in the German army and is forced to go on the run and ends up living higher up in the mountains sleeping rough for many months, surviving on plants, berries and the occasional hand-outs from friendly farmers and shepherds. 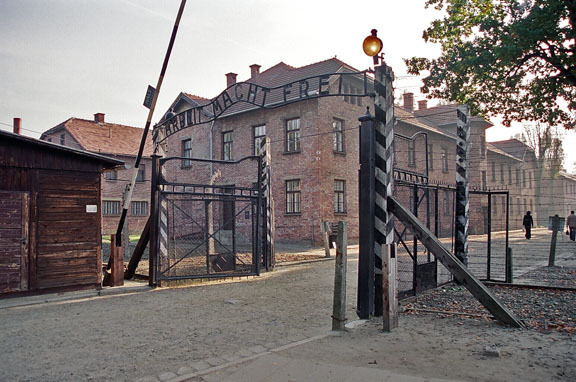 After a law was passed by the Nazi’s to punish the families of deserters Franz is forced to give himself up, and subsequently ends up in the Dachau KZ. After his first initial days in the Dachau Bunker he was eventually moved around several [sub-camps] before being transferred back to Dachau [main camp] where he was liberated on the 29th April 1945. After his transfer back to Dachau for the final month of the war he was in the [concentration] camp on the day of liberation. He, and a few other prisoners noticed the guards had already fled [the night before] and he made his way to the gate of the Jourhaus and through into the S.S. training camp that bordered the concentration camp, and there Thaler was found by the American soldiers who treated him unbelievably not as a prisoner, but as a guard! He, and quite a few other prisoners were mistaken for members of the S.S. and eventually sent to a POW camp in France before finally being set free. He finally makes it home, back to the South Tyrol at the end of August 1945. In other words his suffering, this time at the hands of the Americans meant his war and imprisonment didn’t finish until many months after the war had ended in Europe. 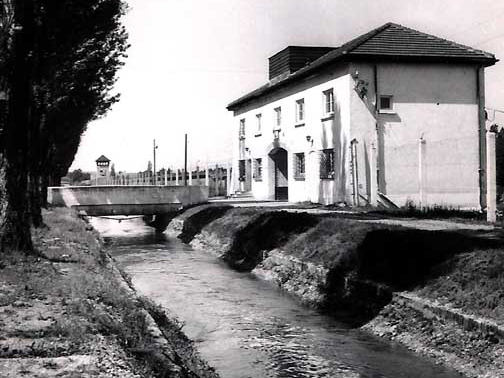 The photo below shows the entrance into the Dachau concentration camp, which was separated from the SS training camp by a canal. [Thaler] finally makes it home, back to the South Tyrol at the end of August 1945. In other words his suffering, this time at the hands of the Americans meant his war and imprisonment didn’t finish until many months after the war had ended in Europe. Note that Thaler wrote that he was not given any food, nor water, for SIX DAYS. I find it hard to believe that a person could live without water for six days! I once went on a fast for 10 days, but I drank plenty of water. After 10 days, with no food, I could barely stand up. Why was Thaler treated this way by the American liberators of Dachau? It was because they mistakenly thought that he was an SS man, who had disguised himself by wearing prisoner clothes. He was lucky that he wasn’t killed in the Dachau massacre. The remarkable thing about this story is that Thaler gave testimony about how the Americans treated the SS men in the Dachau SS training camp, after the camp was liberated. The anniversary of the liberation of Dachau on April 29, 1945 will be coming up soon, and there will be lots of news articles about the camp. There might also be some news about the Herbertshausen shooting range, where Soviet Prisoners of War were allegedly shot for target practice. On June 22, 2011 a commemorative service was held to mark the burial of the mortal remains of unknown Soviet prisoners of war on the former “SS shooting range Hebertshausen”. 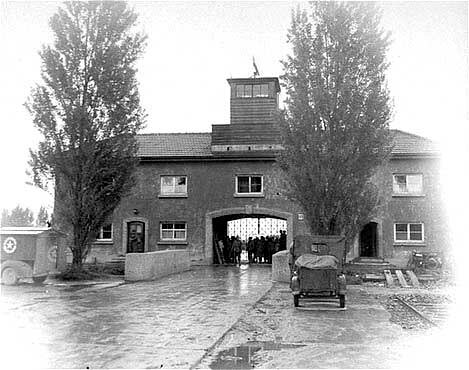 In 1941-1942 SS units of the Dachau concentration camp shot dead around 4,500 Soviet prisoners, contravening international law – officers, Communist officials, intellectuals, and Jews. A memorial now commemorates the unknown murdered victims at the site of the crime. Speeches were held by Dr. Gabriele Hammermann, Head of the Dachau Concentration Camp Memorial Site, Karl Freller, MP, director of the Bavarian Memorial Foundation, Andrei Grozow, Consul General of the Russian Federation, Alexander Ganevich, Consul General of the Republic of Belarus, Charlotte Knobloch, president of the Jewish Community of Munich and Upper Bavaria. Subsequently, representatives of the Jewish, Russian Orthodox, Catholic, Protestant and Islamic religious communities said funeral prayers in memory of the unknown victims. Some 4,000 imprisoned Soviet soldiers were executed there between 1941 and 1945. These murders were a clear violation of the provisions laid down in the Geneva Convention for prisoners of war. The SS used the cynical term “special treatment” for these criminal executions. The first executions of the Soviet prisoners of war at the Hebertshausen shooting range took place on November 25 1941. 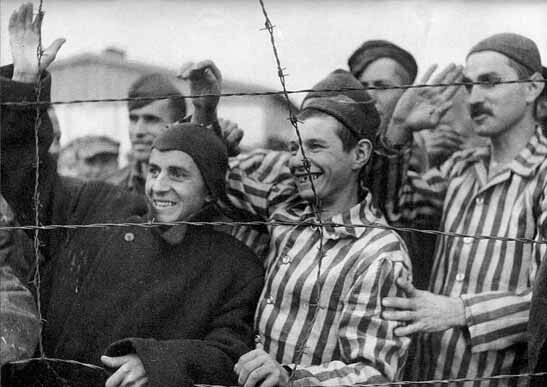 The prisoners brought to Dachau for execution were not recorded in the concentration camp files. Today, an arduous evaluation of the lists and statistics from the prisoner camps at Hammelburg in the Rhone, Nuremberg-Langwasser, and Moosburg on the Isar is trying to obtain a complete record of the names. Alert readers may have noticed that I used the word “allegedly” in the first sentence of my blog post today. Surely, there must be plenty of proof that Soviet Prisoners of War were used for target practice at Herbertshausen. No, dear readers, I am sad to say that there is no proof whatsoever that Soviet POWs were shot at Herbertshausen. 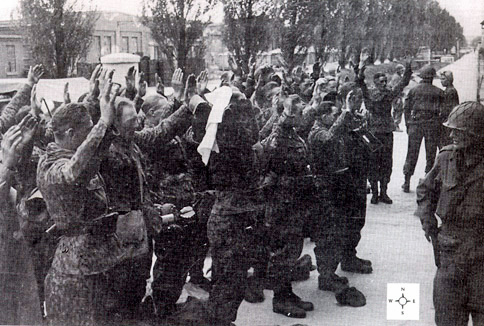 After October 1941, captured Soviet soldiers were brought to Dachau. They were interrogated and 90 Russian officers, who were believed to be Communist Commissars, were executed on the direct orders of Adolf Hitler. 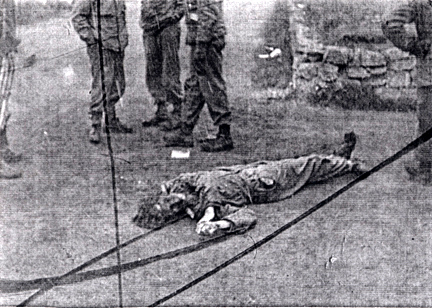 This order was a violation of the Geneva Convention which set rules for the treatment of enemy POWs. Germany had signed the Convention but the Russians had declined to be a party to it. During the American Military Tribunal for the staff members of the Dachau concentration camp, which was held in the Dachau complex in November 1945, the American prosecutor charged that several of the accused were guilty of “a common plan to violate the Laws and Usages of War” because they were present when 90 alleged Communist Commissars were executed at Dachau and did not try to stop the execution. According to the American prosecutors at the American Military Tribunals held at Dachau, thousands of Russian POWs were taken to the SS shooting range at Herbertshausen, which was located in the Dachau suburb of Etzenhausen, where they were executed by a firing squad. The American defense attorneys at the American Military Tribunal for 40 Dachau staff members claimed that there was no proof that 5,000 Russian POWs were shot for target practice at Herbertshausen, as alleged by the prosecution. I previously blogged about the trial of the German war criminals at the American Military Tribunal in which it was NOT proved that thousands of Soviet POWs at Dachau had been shot. Major Boysen was an American defense attorney for Alex Piorkowski, a former Dachau Commandant, who was charged with war crimes in a subsidiary case of the Dachau trials. 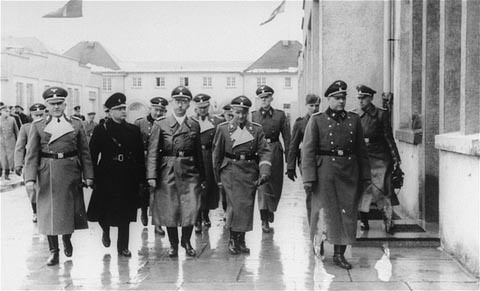 The prosecution’s case against Piorkowski was based on the testimony of 34 paid witnesses who were former prisoners at Dachau. As the defense attorney for Piorkowski, Major Boysen pointed out that the prosecution’s allegation, that 6,000 to 8,000 Soviet POWs had been executed at Dachau in the spring of 1942, while Piorkowski was the Commandant, had not been proved in the main trial of Dachau camp personnel, yet it was put into evidence in the Piorkowski trial, along with other atrocities that had become matters of judicial notice and did not have to be proved again. After the first proceedings, against former Commandant Martin Weiss and 39 staff members at the Dachau camp, had been concluded, Major Boysen had learned that the Dachau railroad station commander, a man named Rohrmuehler, had witnessed the arrival of the trains bringing Soviet Prisoners of War to Dachau. Rohrmuehler claimed that no more than 500 Russians had ever passed through the Dachau camp, and that the claim that 6,000 to 8,000 Soviet POWs had been massacred at Dachau was absurd. The testimony at the Dachau proceedings, concerning the killing of Soviet POWs, was in the form of affidavits and the witnesses had not been subjected to cross-examination in the courtroom, according to Court Reporter Joseph Halow. The claim, by the Dachau railroad station man, does not make sense, since there were 3,900 Russians still in the Dachau camp when it was liberated, according to the Official Army Report. If 6,000 Russians had been used for target practice, as alleged by the prosecution, that would mean that at least 9,900 Russians had been brought to Dachau. In spite of the fact that the shooting of Soviet POWs was never proved by the American Military Tribunal at Dachau, this story is still being told to tourists every day at the Dachau Memorial Site, along with the story that the shower room at Dachau is a gas chamber that was used to kill a few prisoners at Dachau, although not for mass gassing. Dachau is not the only place where tourists are told that the SS shot prisoners for target practice. 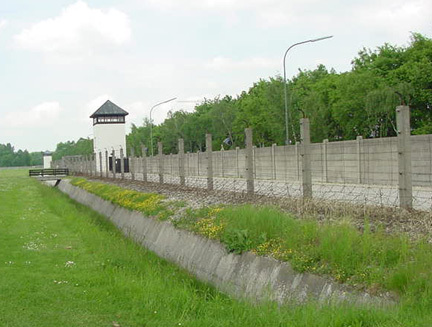 When I visited the Little Fortress, across the road from the Theresienstadt ghetto, I was told that prisoners who had been condemned to death were used for target practice. 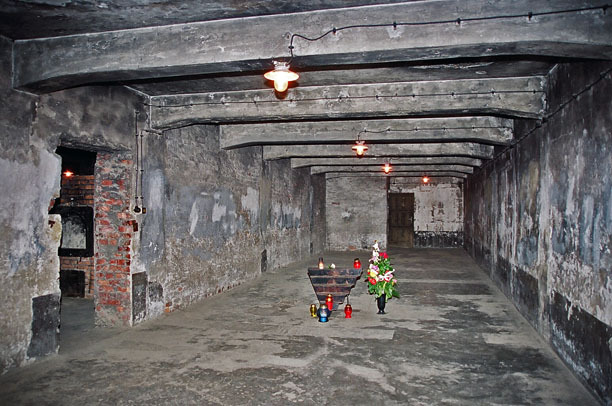 The photograph below shows the place where prisoners were executed in the Small Fortress at Theresienstadt. 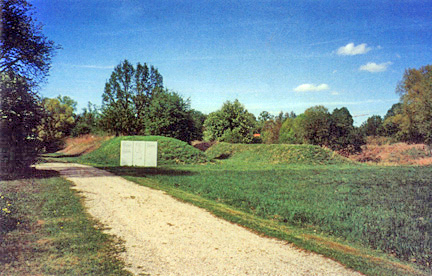 One of the fortification walls is in the background and the spot where the condemned prisoner stood is in the center of the picture. 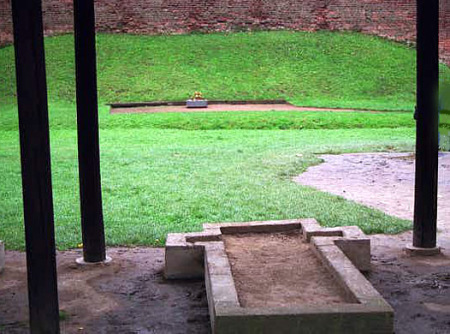 The concrete form in the foreground was one of three places, under a free-standing roof, from which the firing squad would shoot while in a prone position. According to a small booklet which I purchased at the Museum, between 250 and 300 of the 32,000 prisoners, who were inmates at the Small Fortress, were executed. The first recorded execution was on May 11, 1943 when a leader of the Communist resistance, Frantisek Prokop, was shot at the firing range. In today’s world, this phrase has lost all meaning because the Jews have made this slogan into a motto which means that the Jews were immediately gassed to death in the concentration camps, after they had been fooled into thinking that they would be set free if they worked. I have blogged until I am blue in the face about the meaning of this phrase and how it was used in the Nazi concentration camps, but it’s no use. The Jews have changed the meaning to suit their agenda. That’s all you know on earth. And all you need to know (borrowed from Keats). Clink on the link below to see a YouTube video of Jesus, getting sent to the left, to the gas chamber, in the main Auschwitz camp. Gas chamber in the main Auschwitz camp Click on the photo to see a larger size. 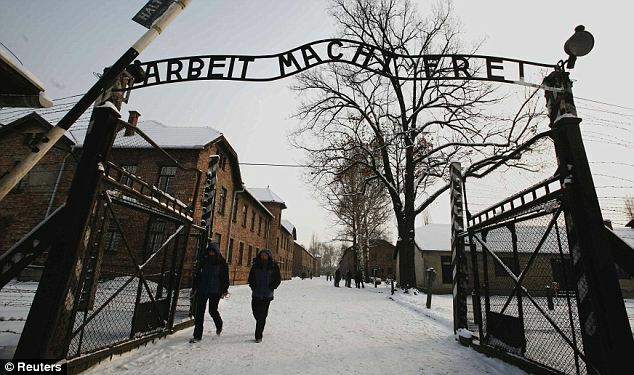 Note that the YouTube video shows the Jews arriving, in 1943, at the gate into the main Auschwitz camp, which has a sign which reads: Arbeit Macht Frei. The main camp had a gas chamber, but in 1943, it was no longer being used. That doesn’t matter; this video depicts Jewish art, not history. A handsome SS man (maybe Dr. Mengele) is shown, directing the Jews to the right (to work) or to the left, to the showers, meaning the gas chamber. The gas chamber in the main camp had no showers, but that doesn’t matter. Finally, half way through the video, Jesus arrives and stands in front of the two SS men, who are doing the selections. Jesus is carrying his cross, and he is sent to the left to the gas chamber. Keep in mind that Jesus was a Jew. According to a newspaper article, which you can read in full here, the letters written by Germany’s Recihsfuhrer-SS Heinrich Himmler to his wife, are being published in installments by a German newspaper. I detect some slight-of-hand in the above statement. Did Himmler write, in a letter to his wife, that “he wanted to watch the gassing of hundreds of Jews firsthand”? Or did the person who wrote this article assume that Himmler wanted to watch a gassing when he went to visit these places. Lublin was the location of the Majdanek “death camp.” Auschwitz was the location of three camps, two of which allegedly had gas chambers, but the other two places, mentioned in the letter, did not have gas chambers, as far as I know. 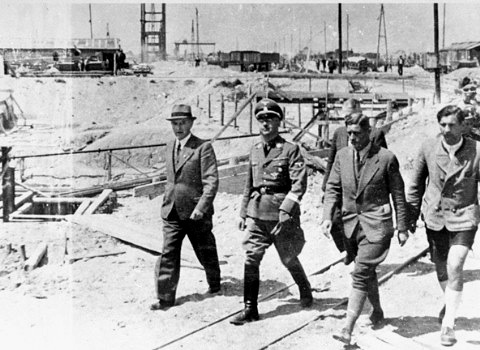 This makes me think that his trip was not for the purpose of inspecting the gas chambers. The photograph above shows Reichsführer-SS Heinrich Himmler, on his visit to inspect the Monowitz factories at the Auschwitz III camp on July 17th and 18th, 1942. 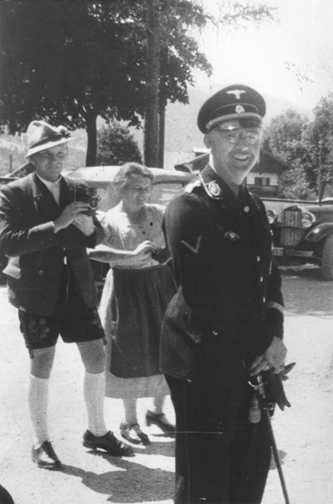 Himmler is the man wearing a uniform. The two men on the right are German engineers. The man on the left is Max Faust. Note that Zamosc is mentioned on the website, cited above. Himmler visited this place because Germans were being settled there, according to the text on the website. Heinrich Himmler was the man who opened the Dachau camp in 1933. He is shown in the center of the photo above, on an inspection of the camp. 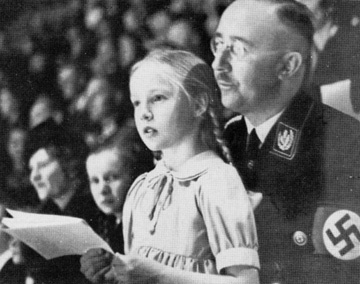 The photo below shows Himmler with his young daughter. He took his daughter with him on some of his visits to Dachau, where she reportedly enjoyed visiting the rabbit cages. 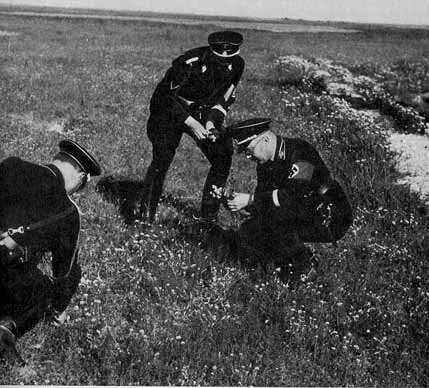 The second photo below shows Himmler at the experimental farm, just outside the Dachau camp, where Himmler, who had a degree in Agriculture, was growing medicinal herbs. The paper said two U.S. Army soldiers found the trove right at the end of the war in May 1945, inside a safe in Himmler’s home in Bavaria. Decades later, in the 1980s, the papers surfaced in Israel in the hands of Holocaust survivor Chaim Rosenthal. Welt says it is not clear how he obtained the papers. Rosenthal kept them until 2007, when he sold the documents to Vanessa Lapa’s father, who then gave them to his daughter. Lapa will debut a documentary she directed on the Himmler files at next month’s Berlin International Film Festival. I think that it is a very bad idea to release the letters, written by Heinrich Himmler. This will tend to humanize him. Which of the Nazi leaders will we have left to hate? What’s next, the love letters of Ernst Kaltenbrunner? Once again, the Jews are overplaying their hand. The letters of Heinrich Himmler reveal that he hated the Jews. This will lead to people asking WHY he hated the Jews. Were the Jews in Germany doing anything to cause the Germans to hate them and to want them out of Germany? The title of my blog post today is based on the very last paragraph in a news article published on the Israel Hayom website. The [Obama] administration has been sensitive about moves that might disrupt ongoing negotiations aimed at stopping Iran’s nuclear program. That apparently means passing on a golden opportunity to make good on the president’s vow to “speak truth” to those who deny the Holocaust. President Obama knows the “truth” about the Holocaust because he had a great-uncle who was one of the American soldiers who was brought on April 7, 1945 to Ohrdruf, a sub-camp of the Buchenwald concentration camp, to see the bodies found by the Americans on April 4, 1945, after the camp had been abandoned. A huge photo of bodies, that were burned at Ohrdruf, is the first thing that you see when you enter the exhibits at the United States Holocaust Memorial Museum. The [US] State Department silence over Iran’s most recent Holocaust denial stands in stark contrast with Obama’s repeated pledge to strongly respond to the anti-Semitic revisionism. The United States would “pledge to speak truth to those who deny the Holocaust,” Obama pledged in a January 2012 message commemorating International Holocaust Remembrance Day. He directly addressed Holocaust denials coming from Tehran in an April 2012 speech at the United States Holocaust Memorial Museum, condemning Iran for denying the Holocaust and threatening to destroy Israel. The State Department has not criticized a statement denying the Holocaust made March 20 by Iran’s Ayatollah Ali Khamenei despite President Barack Obama’s promises to “speak truth” to Holocaust deniers. That same day, Khamenei also vowed to “raze Tel Aviv and Haifa to the ground” if “the Zionist regime makes a wrong move” in a post on his official Facebook page. How could anyone say that the Holocaust is “uncertain”? The Holocaust was proved at the Nuremberg International Military Tribunal where the Soviet Union testified that 4 million people were killed at Auschwitz and that 1.5 million were killed at Majdanek? A movie of the Dachau gas chamber, made by the American military, was shown at Nuremberg. Oops! Did I just write that? I meant to say that the movie was made by the Americans, not that the gas chamber was made by the Americans. 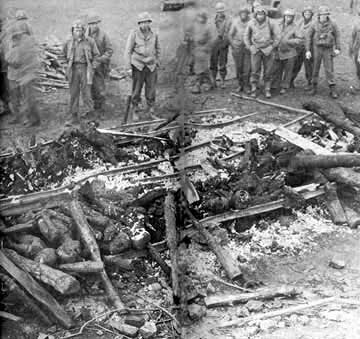 After seeing Buchenwald, did Obama begin to have doubts?